One of the features of our latest Plus! theme engine is the ability to link your social gaming networks directly on your website from within your Ejeet Networks WordPress theme. 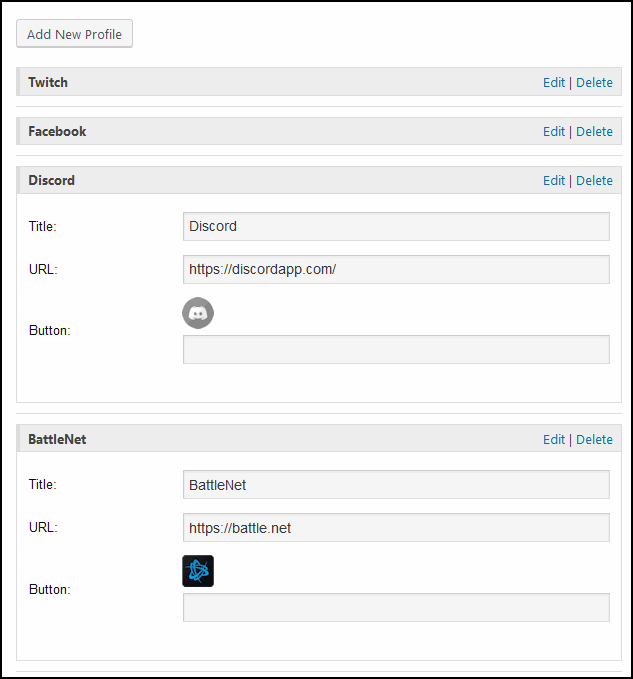 Many of the popular social links have been built into the theme allowing you to quickly add links directly to your guilds battlenet profile or perhaps you have a live twitch streaming channel? Maybe you want to add your discord server invite link to the page with ease. Now you can with any of our Plus! enabled templates. To add your social networking links to you simply navigate to your wordpress administrator section, then navigate to appearance and then the theme options that you have installed on your website, from here you will have access to the social gaming networks panel where the popular ones are built in, but in the mean time there is 100% support for custom buttons and links to any service you desire. This one one of the many things our template can do for your mmorpg gaming website, when you use a template from Ejeet Networks you are using technology for gamers by gamers we are always thinking of new ways to make managing your wordpress guild website easier and better.